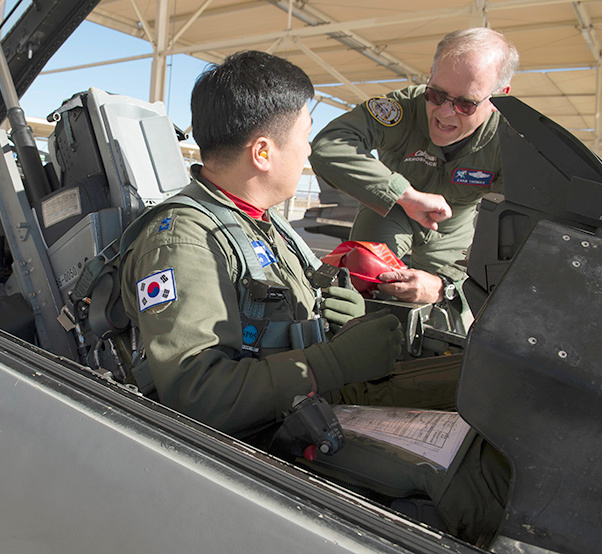 Evan Thomas (right), U.S. Air Force Test Pilot School instructor, gives a Republic of South Korea Air Force pilot some tips while sitting in an F-16 Nov. 3, 2016. 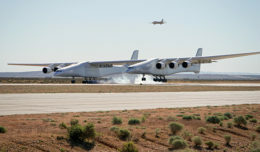 The visiting pilots flew with the U.S. Air Force Test Pilot School as part of the school’s international exchange, which was in fulfillment of their student’s final project requirements. TPS sent students to South Korea in 2014 to fly the T-50 and other Korean aircraft, and the ROK pilots have, in turn, visited here. Korea can trace its aviation heritage back to 1922 when An Chang-nam became the first Korean pilot to fly in his country’s air space, according to Globalsecurity.org. Military aviation started about the same time. Korean expatriates desiring to support the independence movement in their homeland went through flight training at aviation schools in other countries. Korea’s first six military pilots received their training in Curtiss JN-4s in 1920 at the Redwood flight school in Northern California. 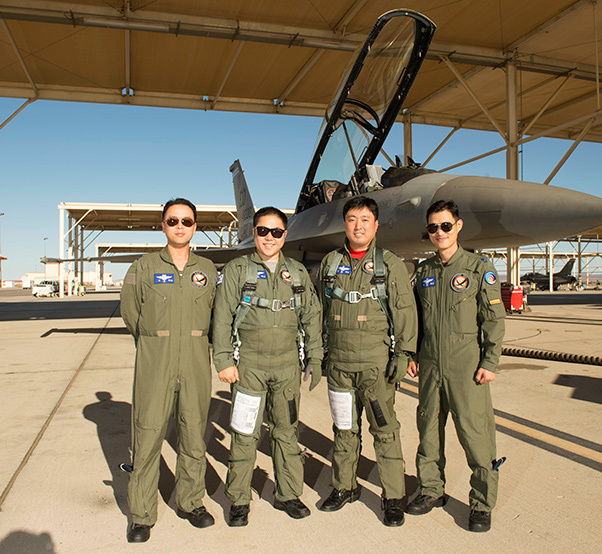 Two students and two instructor pilots from the Republic of South Korea Air Force visted the United States Air Force Test Pilot School Oct. 30-Nov. 4, 2016. According to an article published in The Diplomat, written by Leon Whyte, the U.S. military helped build the foundations for the Republic of Korea and has had a physical presence in the country for almost all of its history. Underscoring the importance of this relationship, that during the short period after U.S. forces left Korea in 1949, North Korea invaded the ROK and started the Korean War. 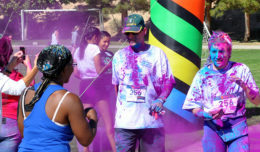 TPS has also had student exchanges this year with Spain, Sweden, Great Britain, France, and Finland. TPS students have flown the Mirage 2000, Alpha Jets, Grippens, T-50s, Hawk Jets, A109 Helicopters, RJ100 regional jets and F-18s.